The Semenggoh Wildlife Centre, Kuching, has welcomed a new member to the Orang Utan family with the recent birth of a baby Orang Utan. 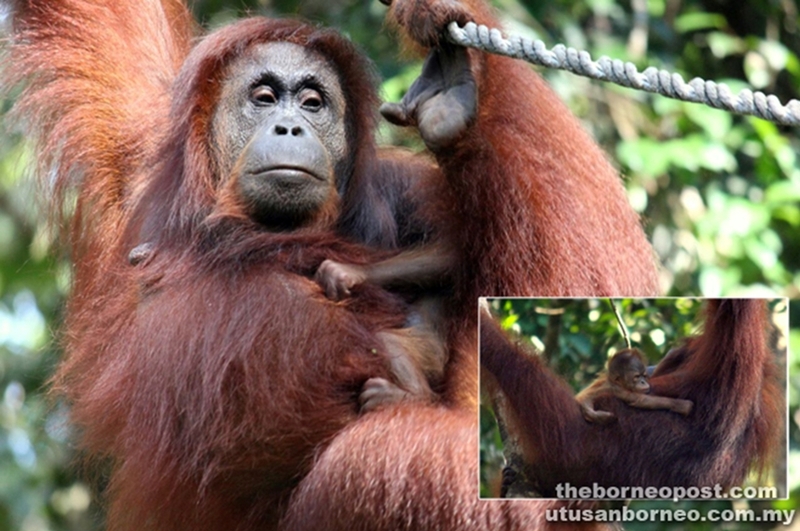 The Sarawak Forestry Corporation (SFC) recently announced that the 20 year old mother, Analisa was spotted on the feeding platform on September 18 with a new-born baby in her arms, the gender of the baby is still unknown. This is far from the first natural birth at the Wildlife Centre, as Analisa has given birth to two babies before and she herself was born to Seduku, one of the oldest female orangutan at the Centre. Semenggoh now has 27 free-ranging orangutans, and the newest birth has provided irrefutable proof of the success of the Centre’s rehabilitation programme, while also inspiring those who are working towards the conservation and rehabilitation of orangutans throughout Sarawak. The Sarawak Tourism Board’s strategy in tapping the China market has produced positive results with the Signing of Memorandum of Understanding (MOU) with the Hebei Province at a ceremony held here on September 25. 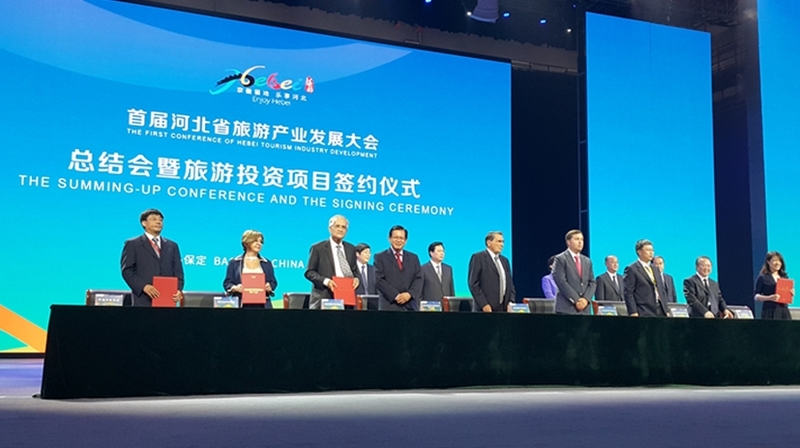 Signed by the Chairman of STB, Datuk Haji Abdul Wahab Aziz and Hebei Governor Zhang Qingwei, the MOU provides opportunity for joint tourism cooperation, aggressive promotions and establishment of business exchange specifically focusing on the tourism sector. The document also focuses on research on tourism attractions and development as both destinations have similar tourism products such as mountains, geo-parks, lakes, rural and cultural tourism. The Signing of MOU will see positive result in charter flights connecting Sarawak and Hebei Province to cater for movement of tourists and business travel, and will bring Sarawak to another level in their effort to attract more Chinese tourists to visit Sarawak. Picture shows Sarawak Tourism Board’s Chairman Hon. Datuk Haji Abdul Wahab bin Aziz (third from left) and witnessed by the Assistant Minister of Tourism Sarawak Hon. Datuk Lee Kim Shin (fourth from left) after the Signing of Memorandum of Understanding ceremony. 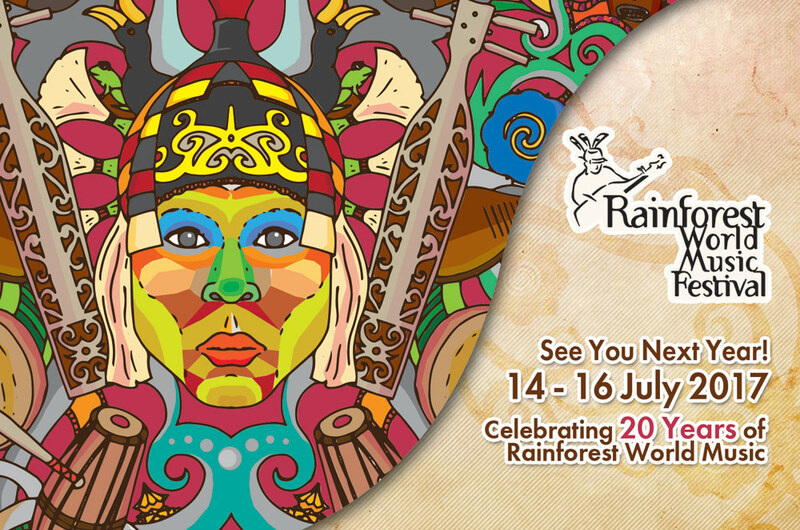 The 20th edition of the Rainforest World Music Festival 2017 will be taking place on 14-16 July 2017. The festival will be held at its home in Santubong, the Sarawak Cultural Village, just 45 minutes from Kuching City Center. 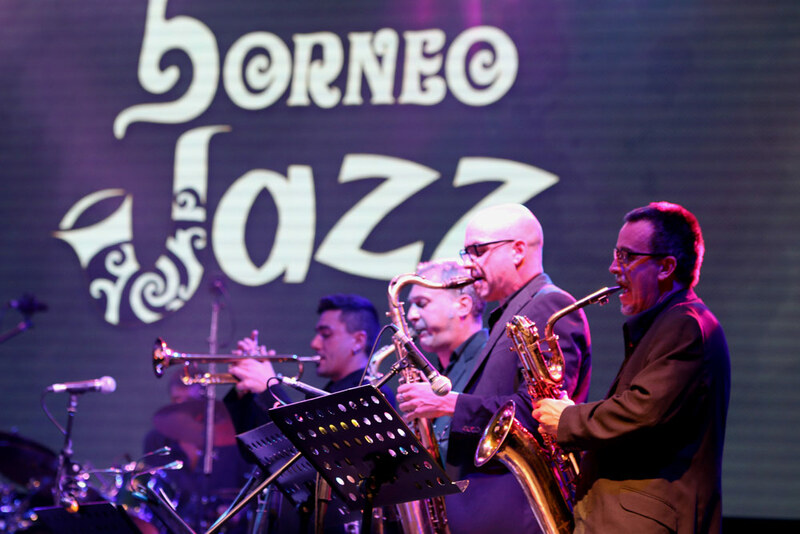 As for the 12th edition of Borneo Jazz, it will be held on 12-13 May at ParkCityEverly Hotel in Miri. Both are Sarawak’s iconic festivals of international standards and has attracted audience worldwide. More updates and information on the Rainforest World Music Festival and Borneo Jazz can be found at the websites: www.rwmf.net and www.jazzborneo.com, respectively. The Board is participating in Heibei Tourism Conference from 21 – 27 September and will see the signing of a Memorandum of Understanding between Sarawak Tourism Board and Heibei Tourism Authority. Sarawak will be the highlight of this year’s Malaysia Day Reception co-hosted by the High Commission of Malaysia in Singapore and Tourism Malaysia Singapore this coming September 14, 2016. Sarawak will be provided with a tourism platform during this night and about 250 dignitaries consisting of various diplomats and foreign embassies will be treated with a multi-cultural show from Sarawak during the dinner. Sarawak will be participating in two of the major tourism trade shows towards the end of 2016. These two events are platforms for the industry members to extend the business networks and consumer outreach. This will be from October 19 -21, 2016 and will be held at the Marina Bay Sands. ITB Asia is annually held three-day business to business trade show and convention for the travel industry. As one of the leading trade shows around Asia, this is a fine platform for industry members to be hooked up with top international buyers from the MICE, Leisure and Corporate Travel Markets. Sarawak will be exhibiting at WTM Londonand will be from November 7-9 at the ExCel London; an exhibition and international convention center. WTM London, one of the tourism tradeshows in the world and is attended by over 50, 000 senior travel industry professionals, government ministers and international press. Travel trade professionals attend to meet new and existing contacts, gain industry insights and keep up to date with the latest travel trends whilst the 3,000 members of the international press come to report the latest stories and keep up to date with the Industry. A four-day event consists of varieties of food, music, cultural events plus numerous health activities will be held from September 15 to 18 at Siniawan old bazaar. Siniawan is a small town in Bau District which is located about 20km from Kuching city. The event is to promote 100 years of existence of Siniawan. The event will embark with a jungle trekking and cycling challenge which include other sports activities such as futsal, sepaktakraw, blowpipe demonstration, street and traditional games, and a state-level photography competition. On Saturday, 17 September, visitors will be treated to a ‘Western country and Cowboy night’ and live band performances of country western music including classic songs from the 60s to the 80s. The theme coincides with the single-street bazaars reminiscence of a typical American ‘Wild West’ cowboy town. The event will also host mid-autumn festival (moon cake), calligraphy exhibition, Chinese chess competition, lantern-making demonstration, lion dance competition and the worshipping of ‘Yue Niang’ (Moon Goddess) and Ghost festival. There will also be a traditional Teochew Opera show and Mandarin ‘Yue Liang’ songs singing competition. A Sarawak ethnic section will be included to focus on the Bidayuh community that includes the selling of handicraft and local delicacies, and Bidayuh cultural performances. Another interesting program is to explore Rajah James Brooke Heritage Trail which covers Brooke’s first fort in Sarawak, Fort Berlidah which was built near Siniawan. 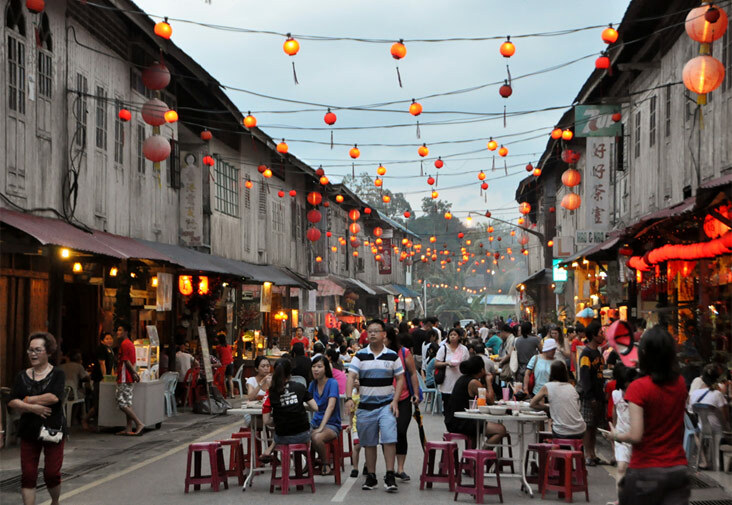 According to the organizing Chairman, Liew, most people called Siniawan an ‘old people’s town’ because there were not many economic activities before year 2010. With this event, he hopes to make Siniawan as one of the popular tourists’ destinations as it has a great potential. 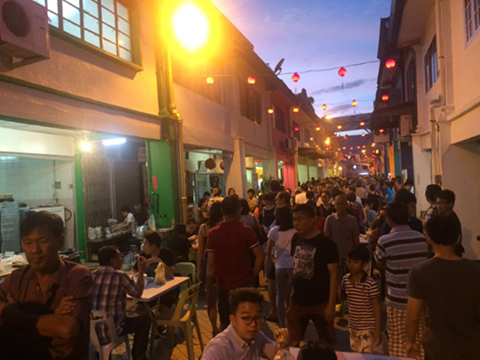 Kai Joo Lane is making its comeback by having the ‘night market’ every Friday and Saturday; hopefully on the eve of public holidays too. It started on the first weekend of September with throngs of locals going to the lane. There are varieties of food on sell and people are spoiled with choices. 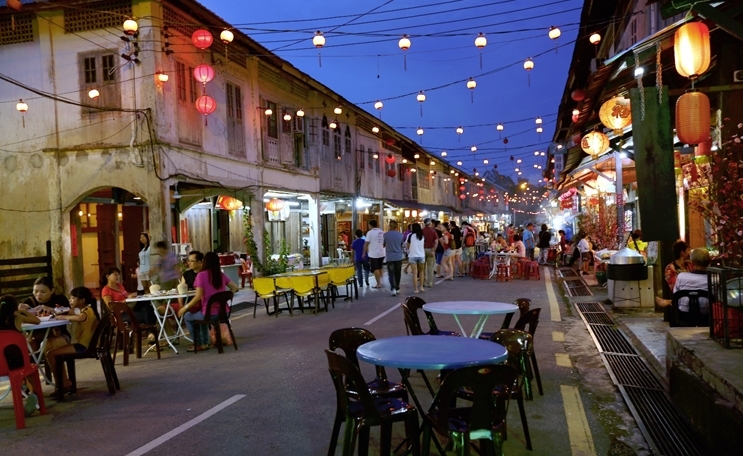 Kai Joo Lane is has two rows of shops that were built by a Teochew businessman —Teo Kai Joo (1870-1924) — in 1923. The locality was officially named Kai Joo Lane by Charles Brooke (1868-1917).In the early days, there are few shops along Kai Joo Lane that started the business of making coffins. 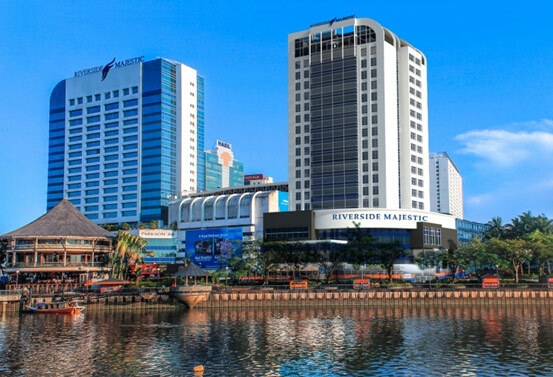 Riverside Majestic Hotel recently embarked on an expansion of its second tower dubbed the Premier Wing. Scheduled for completion by end of 2016, the 18-storey tower will house 272 rooms comprising of standard rooms, deluxe rooms, executive floors, executive lounge and family suites. Combined with the existing tower, it will add to a total of 513 guest rooms, making Riverside Majestic Hotel the largest hotel in Kuching in terms of rooms. Each room is well-appointed with the latest array of amenities and comfort features to cater the need of tourist, business travelers and families. The rooftop Sky Lounge lets guest enjoy a beautiful view of Kuching City as they enjoy delectable meal over some great entertainment which offer unique experiences for guest. A purpose-built Sky Bridge connects the Premier Wing with the original hotel tower, allowing easy movement of the guests and convenient sharing of facilities. The Sky Bridge is a feature that is unique to the hotel and set it apart from the other hotels in Kuching City. Once completed, the new Premier Wing will provide more accommodation options for tourists. 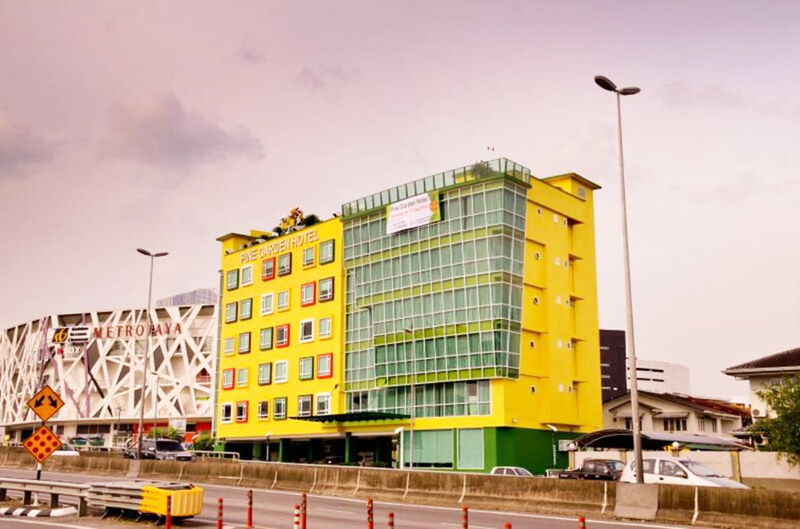 Strategically located in Kuching’s Central Business District, the hotel is within easy reach of some of the city’s major tourist attractions such as TopSpot Food Court, Main Bazaar, TuaPek Kong Chinese Temple, Fort Margherita, Carpenter Street, the old court house and the famous cat statues. Numerous eating and entertainment outlets as well as shopping centers are also within close proximity to the hotel. Pine Garden Hotel, a three-star hotel located at LorongSeladah 1H, Taman Phoning, is now officially opened for business. With 104 non-smoking rooms, the hotel is conveniently located providing easy access to the nearby ‘must-see’ destinations in the city while also allowing guests to pop over to the airport within 15 minutes making it a choice for short and transits for business and vacation. The Hotel provides services including free Wi-Fi in all rooms, 24-hour security and daily housekeeping. Rooms are furnished with wooden or parqueted flooring, LCD/Plasma screen televisions and a mini fridge. While they do not yet have a website, they can be contacted through Booking.com and Agoda.com, or you can call them at +60 82-532 789. 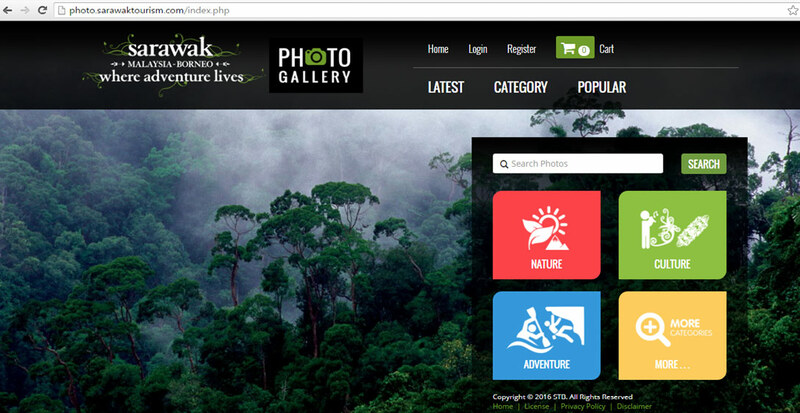 Sarawak Tourism Board will launch its first digital photo library on September 23. The Library intends to provide an archive of free professional images of different tourist attractions in Sarawak to the public which will include images of landscapes, buildings, animals, plants, food and people endemic to Sarawak. It can be accessed at photo.sarawaktourism.com and can be freely used with credit mention to Sarawak Tourism Board by tourism partners and media, students and individuals whose interest relate to the tourism industry. The Photo Library was set up in the hopes of promoting Sarawak’s main attractions through impressive images that encapsulate the uniqueness of Sarawak as a tourism destination. While the database will be available for viewing without fees, copyright will remain under Sarawak Tourism Board and users are required to fulfill the online registration upon downloading the full high-definition images, in order to monitor the circulation of those images.